Is Turner’s victory a referedum on Obama’s Israel policy? 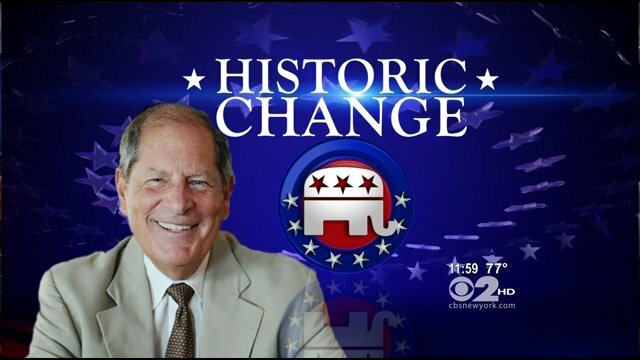 Tuesday marked the first Republican victory in nearly one hundred years in New York’s 9th congressional district, a Jewish and Italian stronghold. Republican Robert Turner (pictured above), won the seat encompassing parts of Brooklyn and Queens that was formerly held by Anthony Weiner, leading to speculation that Jewish voters sent President Obama a message about his policies toward Israel. While there may have been multiple factors in this upset, concern for Israel seems to have been a real factor here, with voters realizing that, despite some solid moves on the diplomatic front, President Obama’s policies, words, and actions toward the Jewish State have reflected a lack of understanding of Israel’s position. In short, Obama has not been a total disaster on Israel. But neither has he earned the trust of Jewish-Americans and other American voters who prioritize the Jewish State’s security. A Public Policy Poll taken days before the election found a plurality of voters in the 9th congressional district saying that Israel was “very important” in determining their votes. Turner was winning by a 71-22 margin among those voters. Only 22 percent of Jewish voters in that district, polled before the election, approved of President Obama’s handling of Israel. On the plus side, Obama has clearly stated his intention to veto this week’s expected unilateral declaration of Palestinian statehood at the UN. That is important. But it is even more important the president back off Israel. Thus far, his overall policy toward the Israelis has been characterized by pressuring them on multiple fronts: to stop building housing (not in some remote outpost but in their capital city), and to negotiate with the Palestinians about creating a Palestinian state carved out of territory Israel captured after being attacked in 1967—this despite the fact that most Palestinian groups, including the Palestinian Authority itself, as of the present time do not acknowledge Israel’s right to exist as a Jewish state. And while, regarding the Jewish State’s security, it’s never exactly been a good time to relax, with the effects of the Arab Spring yet to emerge and Iran committed to extending its reach, the times are especially precarious. While over the course of his term Obama has frequently done the right thing toward the Jewish State on diplomatic fronts, including his boycott of this week’s Durban III conference ta the UN and his disavowal of the Goldstone Report, in the big picture his policy has been one of putting the squeeze on Israel, and blaming the Israelis, while demanding nothing of the Palestinians, who have refused to even come to the table to negotiate. 1) In March 2010, the Obama Administration condemned the Israeli government for allowing construction of 1,600 new housing units in East Jerusalem. Shortly afterward, President Obama unleashed Secretary of State Hillary Clinton on Netanyahu, whom Clinton berated for the construction project in Israel’s capital city, calling it “insulting” to the U.S. and questioning Israel’s commitment to the U.S.
2) At the 2010 AIPAC conference, Obama stated Jerusalem would remain the undivided capital of Israel. Within days, Obama was taking back his statement. 3) Recently, regarding Israeli/Palestinian peace talks, Obama said that the U.S. believes Israel would need to agree to return to “the 1967 lines with mutually agreed swaps” – a restatement of the Palestinian negotiating stance. Thus he biased any future negotiation in the Palestinians’ favor ahead of time. As stated earlier, Obama has done some things right regarding Israel in diplomatic circles. And on the biggest threat Israel faces—Iran’s nuclear program—there are reports that this President has continued a program started by the Bush administration to delay the Iranian nuclear program via computer sabotage. If those reports are accurate, much is happening behind the scenes that does inspire confidence that Obama, if perhaps only for the sake of his legacy and world safety (and stopping Iran is not just about Israel but about the world too), may be trying to prevent Iran from getting nuclear weapons – at least on his watch. That is of utmost importance. But his pattern of reassuring Jewish voters at pivotal moments, only to “walk back” comments later, and his publicly dressing down and pressuring the Israelis to give ground while demanding nothing of the Palestinians—do not inspire confidence that he “gets it” on Israel. Careful observers will not underestimate the man. If he could convince Jewish voters once that he has Israel’s back, he will try his best to do so again before November. But will he keep his promises? And are we prepared to see a hastily conceived Palestinian state muscled into existence at a time when Israel’s recent concessions have been greeted with more hostility? For a preview of what a hastily conceived Palestinian state, run by groups that do not even acknowledge Israel’s right to exist, would be likely to resemble, consider Gaza. The prerequisite to any negotiations that could lead to a Palestinian state should not focus on Bibi and the buildings but on zero tolerance for terrorism and incitement. And it should require that, before the U.S. commits more resources to helping the parties achieve co-existence, there must first be recognition from both sides of the other’s rights to self-determination and to existence itself. Most Israelis have come around to accepting Palestinians’ rights to a state of their own. The time is long past due for the Palestinians, who are the world’s greatest per capita recipients of international aid and who do a great deal more demanding than productively working toward any resolution of the conflict, to accept Israelis’ rights to exist in a secure Jewish homeland. Otherwise, any peace process will be meaningless, or potentially dangerous to Israelis without ushering in true progress or prosperity for the Palestinians. Voters who care deeply about Israel’s security do not trust Obama regarding Israel. Would he go out of his way to help ensure the security of the Jewish State if doing so were to expose him to international scorn, or to cost him his popularity or some part of the legacy he wants to secure? Would he stand up for Israel if the unthinkable should become necessary and Israel were to need to take drastic action in its self-defense? Would he support Israel’s right to self-defense if (as would almost certainly be the case) a hastily-conceived Palestinian state turned into a hotbed of terrorism? In short, is solidarity with this particular ally a core value for him? I would not bet on it. And I don’t think many of the voters in congressional district 9 felt they could, either. This entry was written by Heather Robinson and posted on September 16, 2011 at 11:19 pm and filed under Blog.